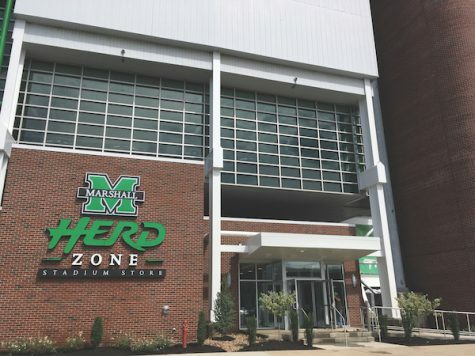 Construction at Marshall University’s Joan C. Edwards Stadium is coming to a close, with the newly installed bookstore and concourse being open for Saturday’s game. Darren Booth, superintendent of the construction project, said construction on the concourse expansion and team store are completed. With the stadium’s concourse renovated, game days will now feature beer sales. The Stadium Bookstore will open to the general public with regular hours on Sept. 15, featuring mostly Marshall team apparel.